Displaying generously sized glass shades and simple, unadorned candle tube holders, the Double Morston is an excellent alternative to traditional wall lighting with fabric lampshades. 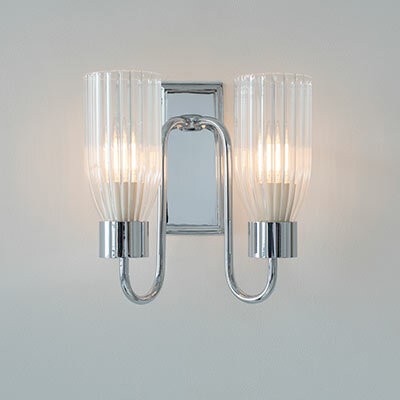 The shades on this version are fluted, making it a little more opaque and vintage in look. 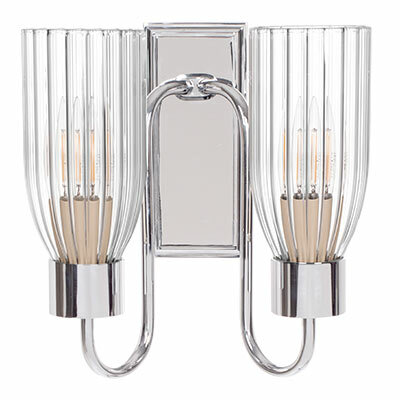 The shades are feel included in the price and can be frosted on request. 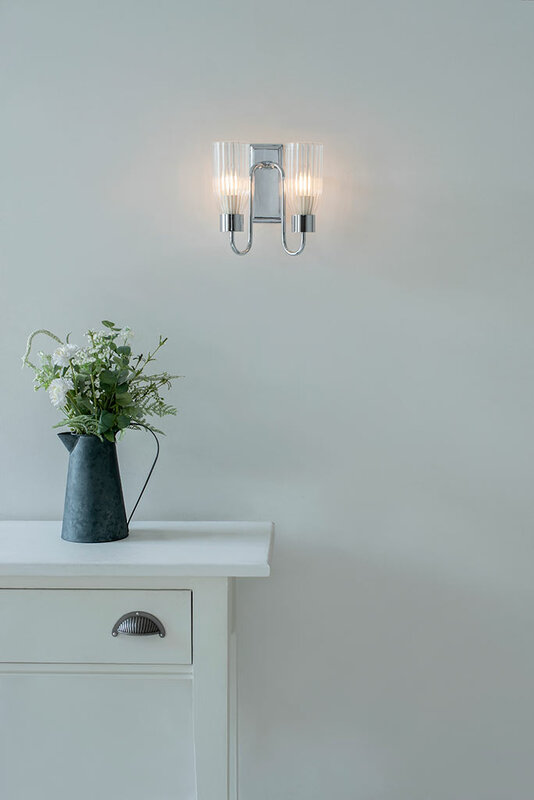 Shown here in our beautifully reflective nickel lustre, it is a excellent choice for a modern interior or to update a period one. 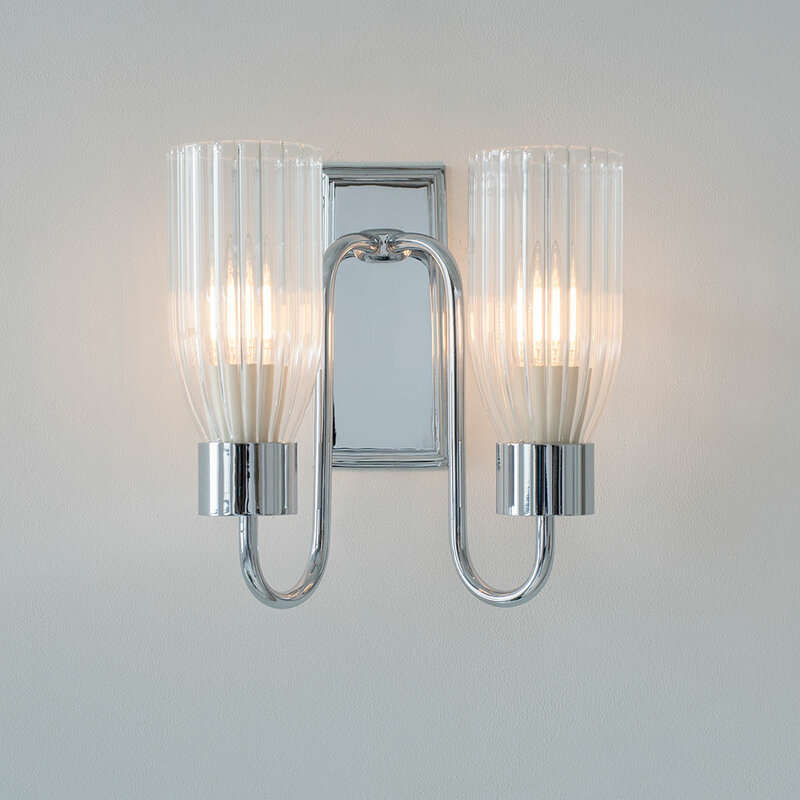 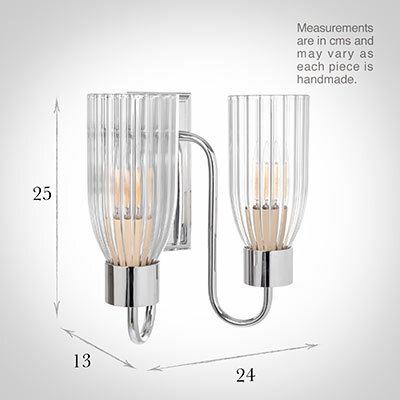 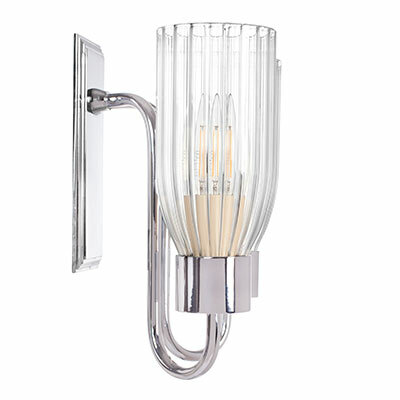 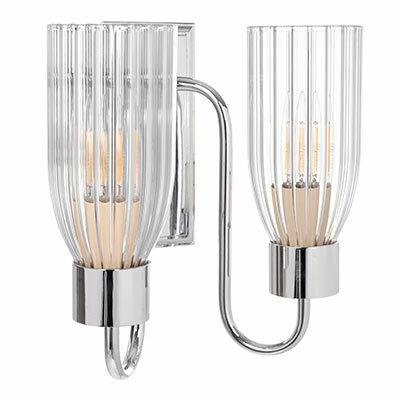 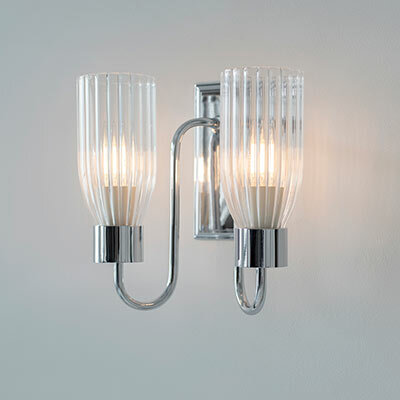 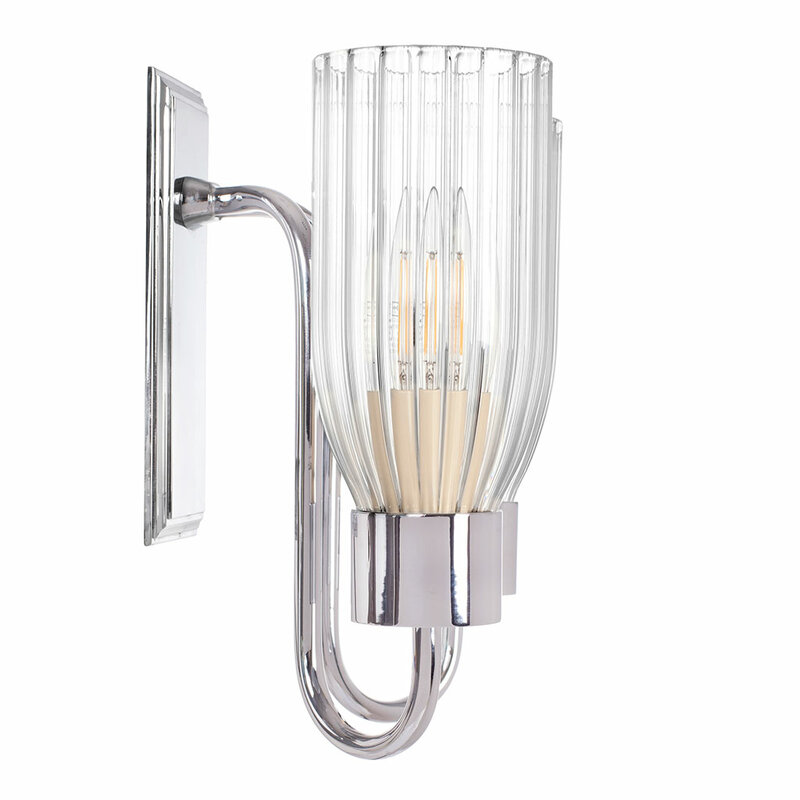 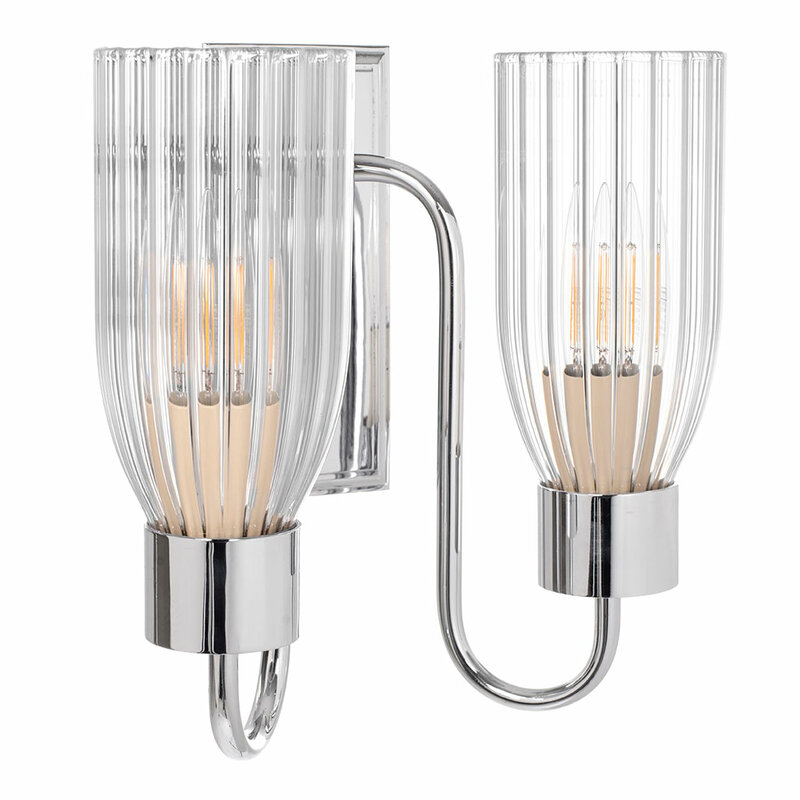 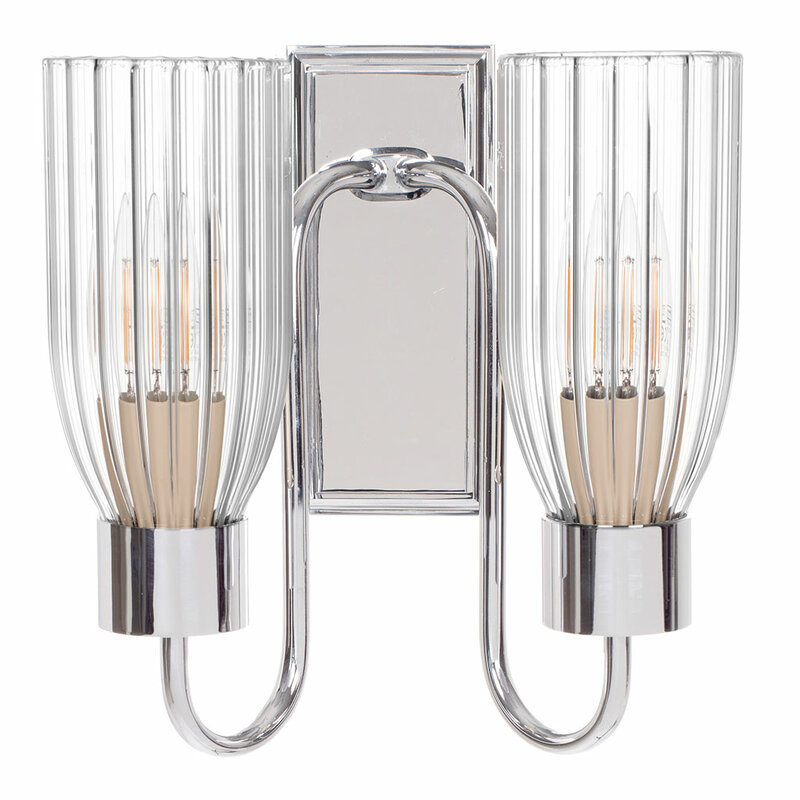 The finish is created by plating solid brass with highly polished nickel then finishing it with a flash coating of chrome that will add to its endurability and create a crisp, clean silvery patina to brighten your room. 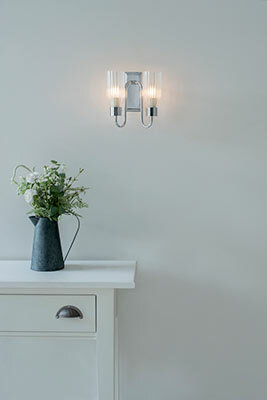 Shade Illustrated: shade is included with the light and can be frosted on request.